Last evening we saw both adult owls flying around. I was worried that she my have abandoned her nest but as it turns out she was hunting for food as this morning she was on her nest and I saw one little baby owlet. This is great that your owls keeping coming back. Viviane, our owls are here year round. Yes, I knew that! 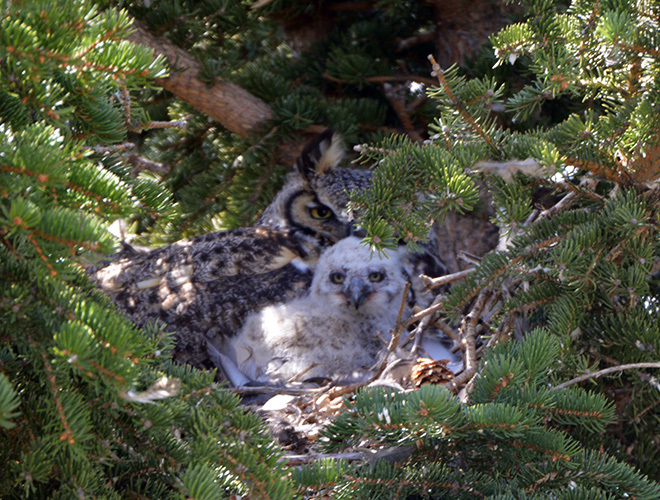 What I should have said that it’s great your owls keep producing young owlets and all keep you entertained.